Samsung's 'unbreakable' smartphone panel has just been certified, as such, by a testing lab. We all know that smartphone screens are very delicate things but it looks like Samsung may have found a way to make them that bit stronger. Introducing the 'unbreakable' smartphone panel - as now certified by the UL (Underwriters Laboratories) who are an official testing company for OSHA, the Occupational Safety and Health Administration of the U.S. Department of Labor. 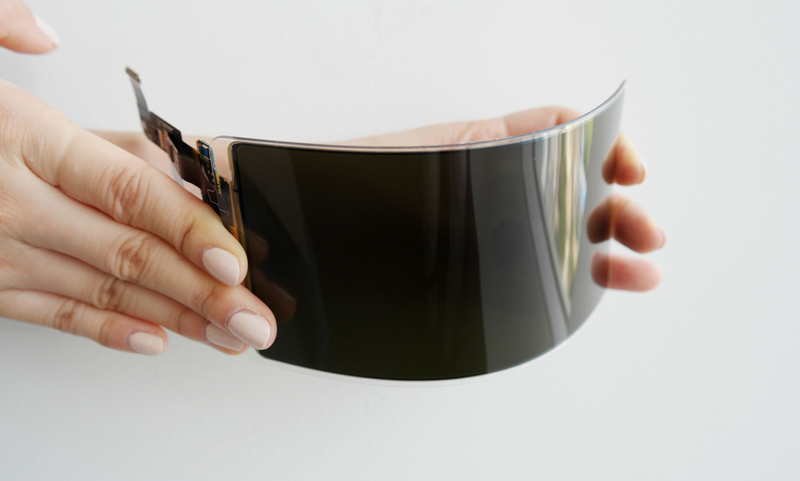 According to Samsung's announcement, the flexible OLED panel is constructed from an 'unbreakable' underlying layer that's overlayed with a fortified plastic window and it's this new combination that makes the panel much stronger than the glass-covered windows featured on devices currently available. "The fortified plastic window is especially suitable for portable electronic devices not only because of its unbreakable characteristics but also because of its lightweight, transmissivity and hardness, which are all very similar to glass," said Hojung Kim, general manager of the Communication Team, Samsung Display Company. A high (71 degrees) and low (-32 degrees) temperature test. After the tests, the Samsung 'unbreakable' panel continued to function normally with no damage to its front, sides or edges so the testers dropped the panel again, this time from 1.8 meters (nearly 6 feet), and it still operated normally with no signs of damage. There's no report on if the plastic window scratches more/less easily than the current glass panels featured in smartphones so we'll have to wait and see on that. Still, a screen that won't crack when you accidentally drop your smartphone will be a welcomed feature for some even if there's no news on when it will be built into future Samsung smartphones.